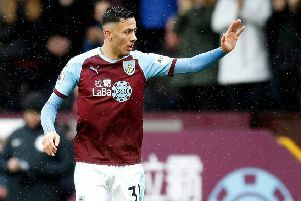 Burnley's Dwight McNeil was given the experience of a lifetime today when being drafted in to train alongside England's senior stars. The 19-year-old was called in to Paul Simpson's Young Lions squad last week ahead of Euro Elite League ties against Poland and Portugal. The Clarets winger, who has made a huge impression in the Premier League this term, was given the opportunity by Gareth Southgate and joined in with the other 23 members of the group, including Tom Heaton and James Tarkowski, at St George's Park.